The key concepts of obtaining and analyzing data that's pertinent to a criminal investigation. Try a quiz in Computer Forensics Fundamentals FOR FREE! 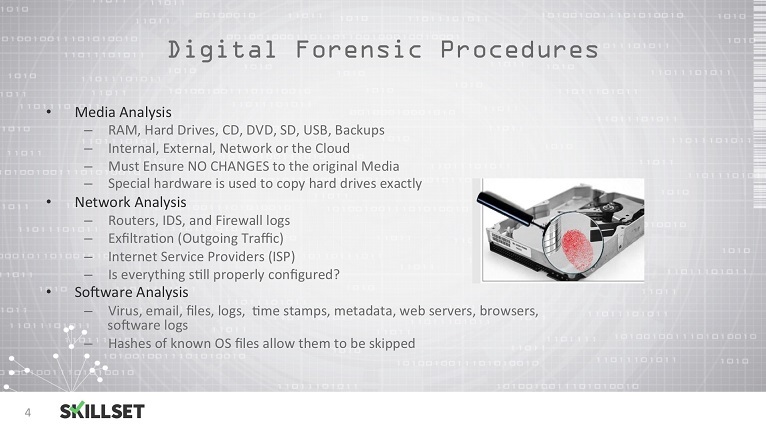 Why are binary bit-by-bit copy images used in digital forensics, instead of using commercial data backup tools? Who is responsible for the chain of custody during forensics investigation? The process of ensuring that the acquired evidence is the same as the data that was originally seized is known as ______. When performing computer forensics under the technical issues requirements, what are one of the key needs of an examiner? Who is responsible for "bagging and tagging" the evidence gathered from the crime scene? One of the critical decisions to make at the beginning of a forensic examination that potentially involve a crime? In terms of forensic analysis when reviewing network logs for servers, routers, and firewalls. The logs actually record what? 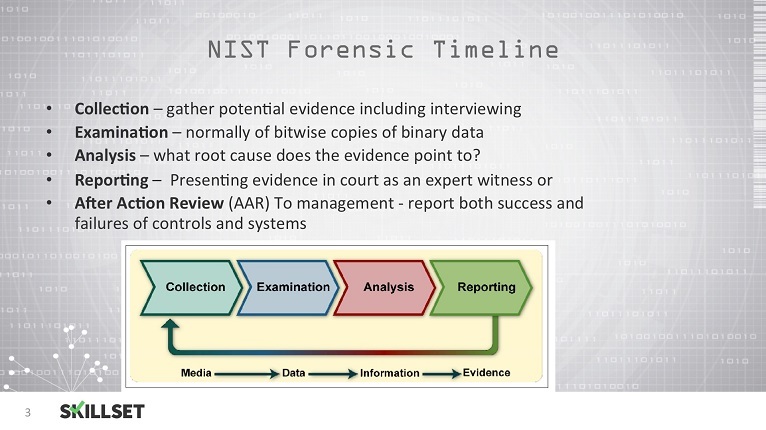 The selections using the End to End Digital Investigation (EEDI) framework to process and gather evidence include all of the following evidence collections EXCEPT? A computer incident investigator is performing a reverse engineering and malicious code review. Which type of assessment are they performing? What type of electronic evidence would be more likely considered hearsay?